Gainesville, Florida, USA. 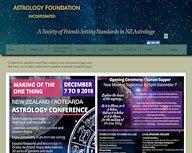 This conference opens the door to a new world of astrology. 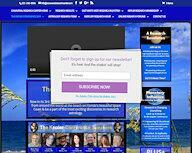 Whether you are new to VA or practicing Vibrational Astrologer, be prepared to a journey of the future. Come join us! The Vibrational Astrology Conference is the ultimate community resource for Vibrational Astrology! Istanbul, Turkey. Cosmology, Mythology And Astrology will be the topic of The Astrology Days in 2019, the annual event organised by AstroArt School of Astrology. In the 8th International Astrology Days event, we will be together with many precious astrologer friends from the international arena. Belgrade, Serbia. "Astrology as Technology of Consciousness." 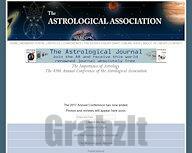 Welcome to the annual International Astrology Conference on Balkan! Come and experience Belgrade hospitality, meet new friends and listen prominent speakers from the United States, Canada, Iran, Norway and Serbia. Cocoa Beach, Florida, USA. Now in its 3rd year, join passionate researchers & thought leaders from around the world at the beach on Florida's beautiful Space Coast and be a part of the most exciting discoveries in research astrology. Auckland, New Zealand. "Making of the One Thing." Our speakers are both local and international, featuring April Elliott Kent and Hamish Saunders. Sedona, Arizona, USA. 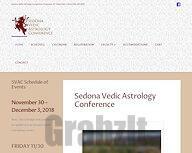 On behalf of the SVAC faculty and staff….we would like to invite to the Sedona Vedic Astrology conference to be held at the Poco Diablo Resort in beautiful Sedona, Arizona! Come and explore the ancient Vedc sciences of wisdom and their application to the Modern Western World as we learn to walk the mystical path with practical feet. San Francisco, California, USA. This conference is a blend of great Jyotish masters and students of Komilla Sutton. Alumni of Komilla’s academy who are now Jyotish masters in their own right. Many new speakers who get the first opportunity to present their knowledge after years of studying Vedic Astrology. 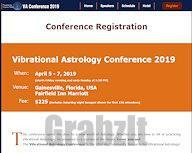 Great knowledge is shared and fresh outlooks to Vedic Astrology makes it great conference to attend. Cheektowaga, New York, USA. STATE OF THE ART ("SOTA") is an astrology conference geared to intermediate, advanced, and professional astrologers. As the title implies, its function is to illustrate the state of the art/discipline of astrology by featuring popular speakers and hot topics that exemplify leading-edge thought and techniques. London, United Kingdom. The London School of Astrology and The Mayo School of Astrology came together in 2008 to create a unique astrological weekend event: The Astrology Student Conference (ASC). This friendly, annual gathering brings together the very best speakers from around the world to lecture on their specialist areas. Our goal each year is to give students and practitioners of astrology – and anyone else interested in the art – a full and diverse programme of lectures and the chance to interact, network and mingle with students from various schools, the speakers and professional astrologers from our community. Moffat, Colorado, USA. Sky Astrology Conferences™ re-ignite the originating genius of our astrological tradition, through an immersive experience into the living Sky. Conceived and envisioned for our contemporary times, Sky Astrology Conferences™ deliver a robust, “living” education in the observable sky which remains both the bedrock and common ancestry of every form of astrology practiced today. Ann Arbor, Michigan, USA. "Empowering the Joyful Path." 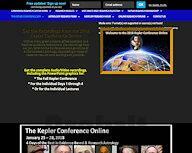 Great Lakes Astrology Conference is dedicated to the astrologer –- beginner, intermediate and advanced. It does not matter if you are a lay person looking to have some fun or if you are seeking professional enhancement. We provide lectures of high quality content by excellent teachers to enhance education, knowledge, and professionalism of our attendees. Berkshire, England. "Diamonds in the Sky." Our 2018 conference will be very special. Not only will it be our 50th annual conference, but the Association's 60th birthday is on the 21st June 2018. There will be more workshops and talks than ever before, and the choice of staying for either two or three full days. And there are large discounts for early booking. Chicago, Illinois, USA. 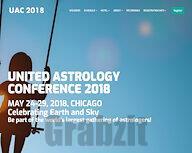 United Astrology Conference 2018. Registration opens April 1, 2017. Sponsored by AFA, AFAN, AVCA, ISAR, and NCGR. See the website for speakers, hotel, and additional details as they become available. Tukwila, Washington, USA. 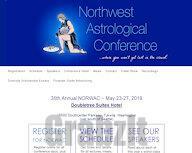 34th annual NORWAC. Cocoa Beach, Florida, USA. Evidence-based research astrology on Florida's beautiful Space Coast. Exploring the evolutionary interface between planetary and living systems and the effects on human timing, performance and behavior. Melbourne, Australia. "Transforming the Tradition: Towards an Intelligent Fusion of Past and Present." The 22nd International FAA astrology conference will be a memorable journey into participating in the transition and transformation of our tradition. This conference is dedicated to honouring the divisions in our tradition, not as separations or splits, but as representative of the diversity and breadth of astrological application and its unified capacity for marking out the human condition. Sedona, Arizona, USA. Come and explore the ancient Vedc sciences of wisdom and their application to the Modern Western World as we learn to walk the mystical path with practical feet. Jyotisha or Vedic Astrology reflects the science of light that assists in illuminating our path home to the divine. It is a powerful tool for understanding our karmic strengths as well as areas in our life that need healing. Vedic Astrology reflects our life lessons and soul’s intention for this incarnation. This predictive science reveals our developmental life cycles of of spiritual evolution as well as career, relationships and optimal health. Zion National Park, Utah, USA. 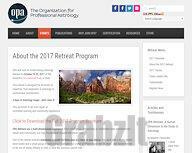 Presented by the Organization of Professional Astrologers (OPA). This year theme is inspired by the transit of Jupiter in Scorpio: The Art of Living and Dying. How does death serves a good life, and what is in the art of living and dying. Wyboston Lakes, United Kingdom. The AA's 49th annual conference, "The Importance of Astrology," takes place 8th - 10th September 2017 at Wyboston Lakes near Cambridge. Portland, Oregon, USA. 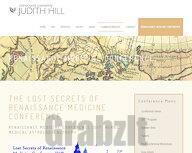 To revisit and examine the medical paradigms and treatment techniques of ancient, Medieval and Renaissance Europe. To discover the ideological "babies" of medicine tossed out with the bath water with the 18th century's wholesale changeover to our current western biochemical model of medicine. To compare indigenous and traditional European medical paradigms with those of Native America, India and China. To reconsider the validity of three traditional etiologies no longer acceptable to modern medicine: supernatural, astralic (from astrological influence), and karmic. To examine the evolution of Homo-centrism and its impact on modern western medical ideologies and treatment; environmental concepts, animal welfare. To encourage communication, respect and affection for living plants and animals. Perugia, Italy. Il Convegno Internazionale di Astrologia ha un duplice obiettivo: Diffondere l’Astrologia, come strumento di consapevolezza e di empowerment; Promuovere l’Intercultura e il pluralismo astrologico. 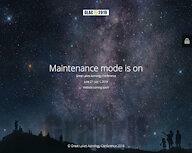 Il tema di quest’anno è la Conoscenza, secondo la visione interdisciplinare. La Conoscenza conferma l’antico e sacro legame tra ciò che è in alto e ciò che è in basso, abbracciando i valori insiti in ogni settore del sapere. I raggi luminosi dei corpi celesti ci suggeriscono come esplorare la nostra essenza. L’Astrologia ci aiuta a trascendere la frattura tra il sacro e il profano, validando le varie forme di una realtà multi sfaccettata. Madrid, Spain. Iberian Astrological Conference. En esta edición del Congreso Ibérico de Astrología contaremos con la participación de 20 astrólogos nacionales e internacionales. Disfrutaremos de 19 ponencias durante los días 23, 24 y 25 de junio de 2017 en el marco escogido para el evento: el Centro Cultural Conde Duque, situado en la Calle del Conde Duque 11, - 28015- Madrid, España. Albuquerque, New Mexico, USA. 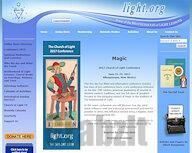 This five day fun-filled and informative conference includes two days of pre-conference tours, a pre-conference intensive on the late 19th century American awakening of interest in Western esoteric traditions, and two full days of speakers focused on the intriguing subject of Magic in the tradition of The Brotherhood of Light. London, England. 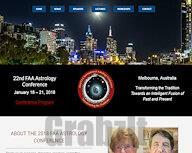 The theme of our 10th conference is "Applying Astrological Techniques" and we have a series of talks exploring the diverse ways in which astrology can be used personally and professionally. To celebrate our tenth anniversary, we have a lineup of ten outstanding speakers. Tukwila, Washington, USA. 33rd Annual NORWAC ~ May 25-29, 2017.